Do you enjoy seeing information at a glance, rather than needing to open various windows? Today we get two addons by Torhal to plug into your LDB display of choice. 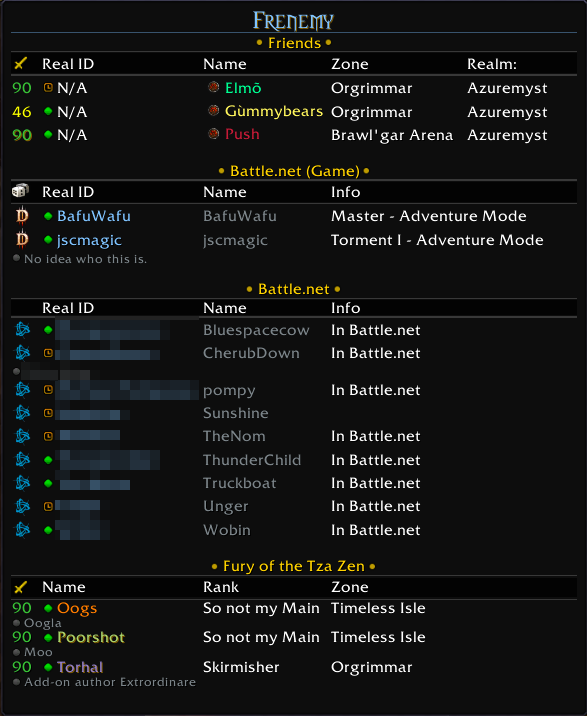 This addon combines your friends list and guild list, showing you who is online for you to play and chat with. It even includes your online Battle.net friends, even if they are not currently in WoW. The guild list includes any guild notes under each name. Want to invite someone to a group? Context menus will open when right-clicking a name in the tooltip. Don't want to see Battle.net friends today? You can collapse sections to streamline your tooltip. Check this addon out here. 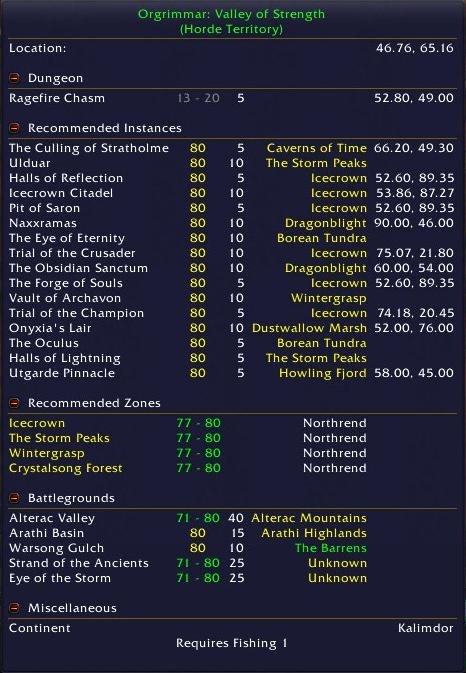 Wish there was a Frommer's book for the zones in WoW? TravelAgent tells you a bit about the area you are in and recommends "trips" and "excursions" for you to go on, including which zones and dungeons are best for your level. It can integrate with your TomTom, display your coordinates, and more. Like the above Frenemy, this addon's tooltip sections are also collapsible. Don't have an LDB display? The addons includes an optional minimap button to use instead. It's like TripAdvisor for WoW. Get it here. For previous Picks of the Week, visit our PotW archive forum. Are you the author of a mod that you think belongs in this spotlight? Just upload/update it to WoWInterface, and it will automatically be considered for that week's Pick.